East Coast Travel, Travel in the U.S.
I’ve really enjoyed learning about other cities with this “See the USA” series and I hope you have too. Hopefully you caught the best of Los Angeles last week Key West the week before. We’re half way through the alphabet with letter M and Manhattan (New York, not Kansas). 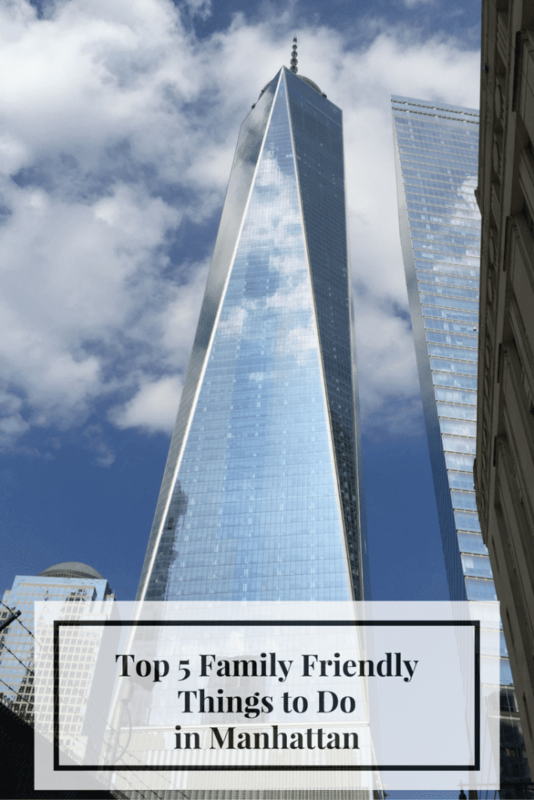 I am thrilled to have Linda from NYC Single Mom sharing the top 5 family friendly things to do in Manhattan. When many people think of New York City, Manhattan is the place they are imagining. Home to the Empire State Building and Times Square, it is the most densely populated of the five boroughs making up New York City. 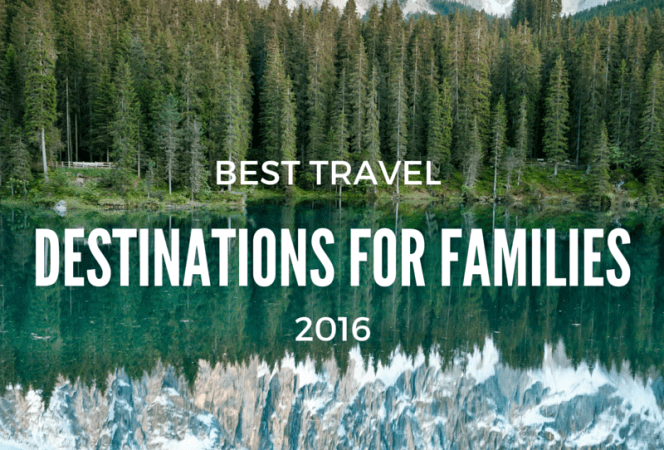 It offers endless opportunities for exploring, but here are some of the ones to try with kids in tow. One World Trade Center is the highest building in the Western Hemisphere with the Observatory offering the most stunning view of New York City. The elevator ride to the top is worth the trip alone. The elevator shows the evolution of the city over the last 500 years. It is the coolest technology you will ever see in an elevator and it all takes place in 60 seconds. When you get to the 100th floor, you will be able to see panoramic views of Manhattan, Brooklyn and New Jersey. It’s pretty spectacular. Want to wander downtown New York City above street level? Then head to the High Line Park. The park runs from Gansevoort Street in the Meatpacking District to West 34th Street, between 10th and 12th Avenues. 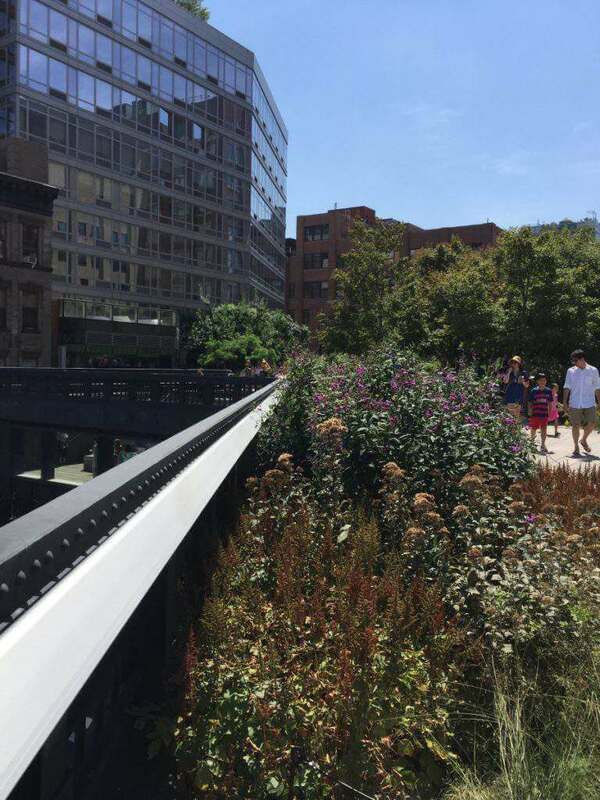 It is built on a historic freight rail line elevated above the streets on Manhattan’s West Side that opened in 2009. Walking along the promenade offers amazing views of the Hudson River and Manhattan skyline, with cool looking buildings along it’s path. You can even look into people’s apartments, that’s how close it is to some buildings. There is seating along the southern promenade where you can just rest and people watch. Don’t worry there are also places to buy snacks and drinks. Who doesn’t love a carousel? 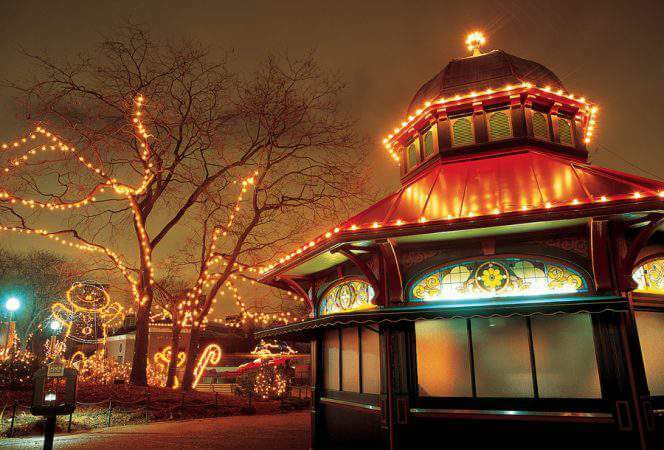 The Sea Glass Carousel at Battery Park is unlike any carousel you have ever seen or ridden. No matter your age from the toddler to grandparents, riding Sea Glass Carousel is the coolest experience. There are 30 massive fiberglass fish that are designed to illuminate with bioluminescence color-changing LED light fixtures. It really is amazing. Trust me you will want to ride it more than once. 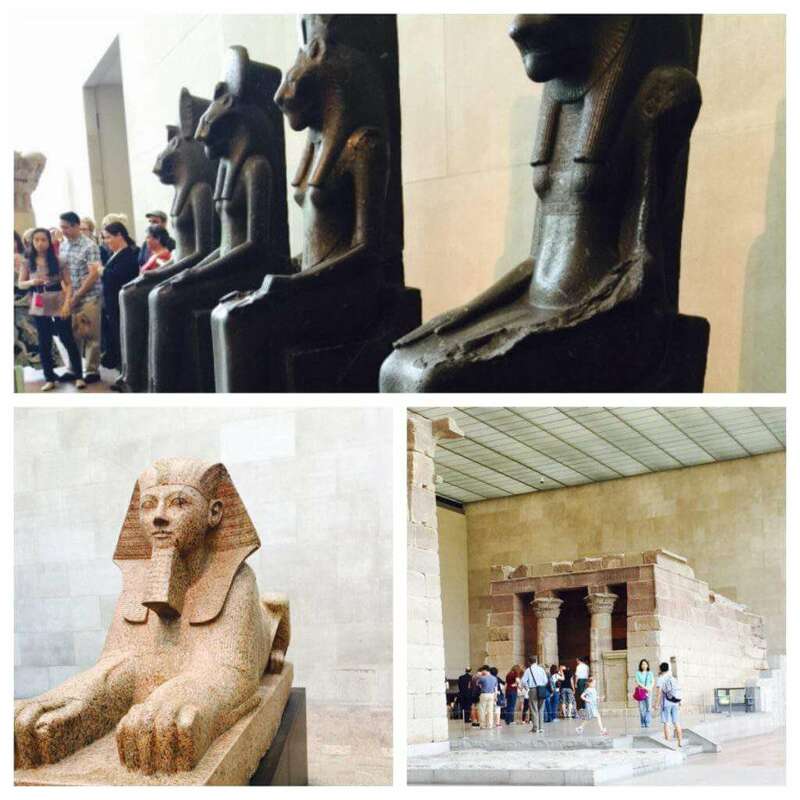 The Met as it is commonly known has 5,000 years of art from every corner of the world. That sounds a bit overwhelming and it is especially for visitors on a short stay. That said, as a parent, I have tried to focus on key areas of the museum kids (and parents) will like. Start with The Temple of Dendur, a 10.B.C. Egyptian Temple plus the reflective pool located in The Sackler Wing. In order to get to the temple you have to pass a few Egyptian Sarcophagus which are cool for kids to check out. Another favorite is seeing full statues in their armor (The Emma and Georgina Bloomberg Arms and Armor Court). Have a ballerina in the family? Check out the famed Edgar Degas Ballerinas (Gallery 815). There is so much more to this museum so definitely enjoy your time just wandering and if you are visiting between May and October head to the Roof Garden where you see a spectacular view of the city. The Met has numerous events and activities for kids, check with information to see what is on deck the day you visit. The suggested admission is $25. You are not obligated to pay the $25. Pay what you want, I have known people to pay $5 per person. 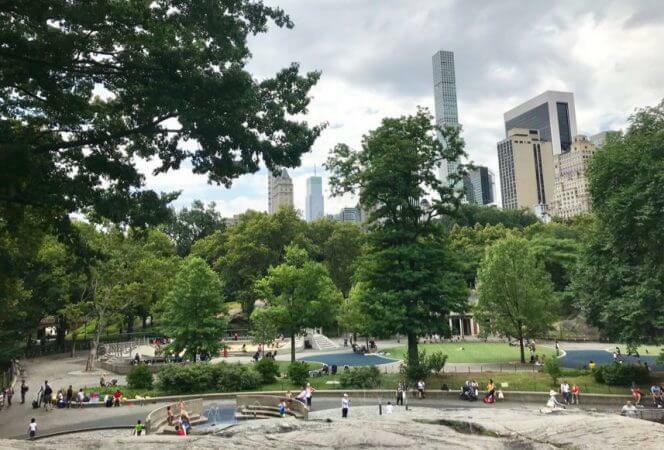 Your kids may “recognize” the Central Park Zoo if they have seen “Madagascar.” The Central Park Zoo and Tisch Children’s Zoo are both a wonderful way to spend time with your kids. There are plenty of activities to keep the kids busy from the Snow Leopards to the Red Panda. Our favorite attractions are the seals and the penguins. There are thrice daily feeding of the seals and twice daily feeding of the penguins. After your visit to Central Park Zoo, head over to the Tisch Children’s Zoo where your kids can check out wide variety of farm animals including goats, sheep, and pigs. Bring lots of quarters to buy food pellets so your kids can feed the animals. It is fun to watch kids feed the animals. 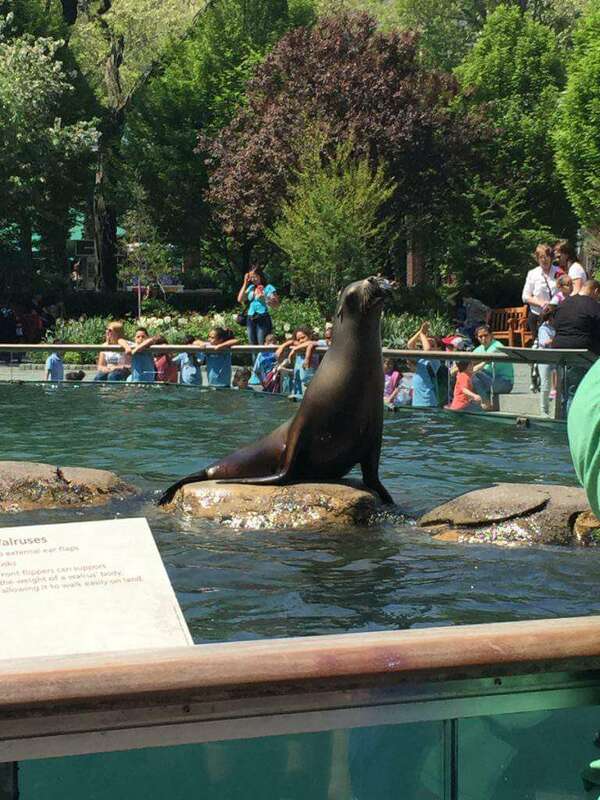 One of the reasons we love the Central Park Zoo and Children’s Zoo is its’ size. You can do both Zoos in a few hours and still have plenty of time to visit other tourist attractions in the area. The Zoo is walking distance from the iconic Rockefeller Center, The Today Show, St. Patrick’s Cathedral and Saks Fifth Avenue. Have you been to New York City? What is your favorite activity or attraction? Linda Grant and her teenage daughter live in downtown New York City. NYC Single Mom, is a lifestyle site explores life living in New York City, plus healthy dose of entertainment and travel. Stay connected on Facebook, Twitter, and Instagram. · East Coast Travel, Travel in the U.S.